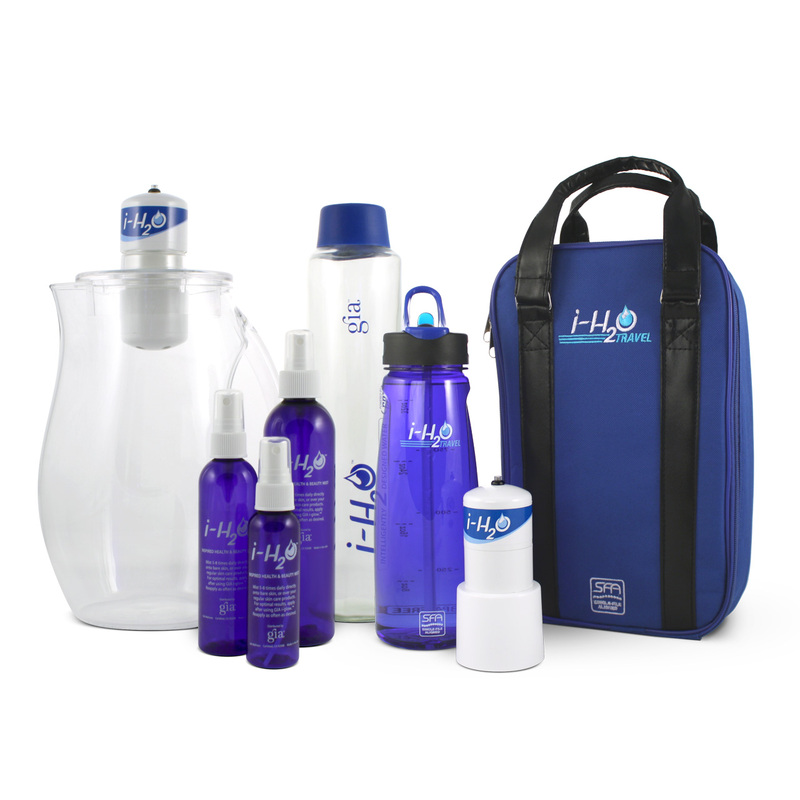 Introducing the patented i-H2O Activation System – the most profound hydration technology available today. This easy-to-use wellness breakthrough allows you to transform ordinary, filtered water into ultra-hydrating, “living water” within 30 minutes. Staying young and healthy-looking is something we all want. Spraying i-H2O – in particular when combined with GIA’s “i-Glow” – is the smartest way to turn back the hands of time and create luminous, beautifully hydrated skin and hair. 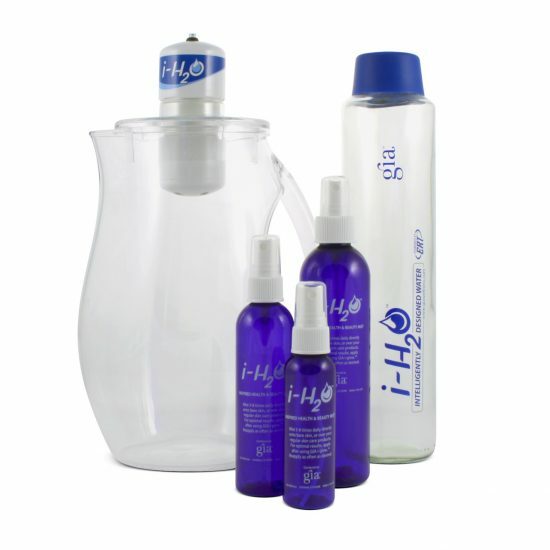 i-H2O is so light that I can use it on my face, neck, décolleté, hands, arms and hair all day long. I even use it over makeup. With i-H2O, I have discovered a revolutionary way to fight the usual signs of aging and restore youthful radiance. The difference that I have seen when using i-H2O with my patients has been absolutely extraordinary. You really have to try it to believe what i-H2O can do. 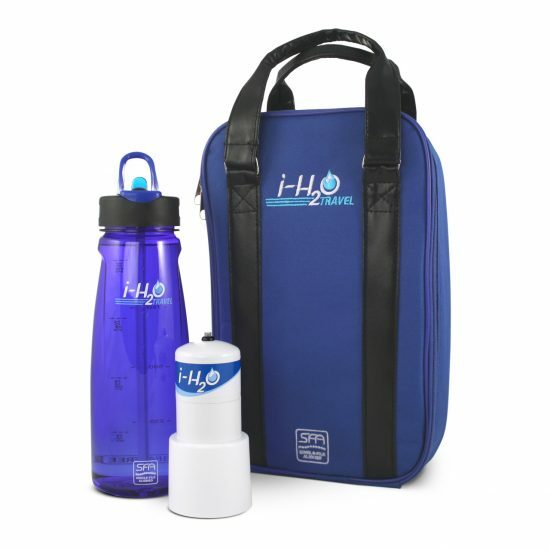 i-H2O delivers maximum hydration like no other water technology available today. i-H2O is easily absorbed and provides never-before-seen anti-aging and antioxidant benefits. i-H2O is simply the best. Since the time he was a toddler, my six year old cousin had suffered from scaly, itchy, and red skin all over his arms. His family tried many different common methods of dealing with it. Nothing really helped. He started spraying and drinking i-H2O and within six weeks everyone is so grateful it’s almost completely gone! I asked my mom if she wouldn’t mind being my ‘guinea pig’ to see the results of using i-H2O. We took a ‘before’ picture to see if we would notice a difference in her skin and her signs of aging. Then she began drinking and spraying i-H2O regularly. About 7 months later, I asked her if we could take an ‘after’ picture to compare. The images above speak for themselves – we were THRILLED to see such dramatic improvements on my mom’s skin!